Flowers aren’t my thing. It’s all that pollen irritating my hayfever. And all that floral femininity making me feel like I have to be all girly. But flowers on a plate, it just makes me all weak at the knees with glee. 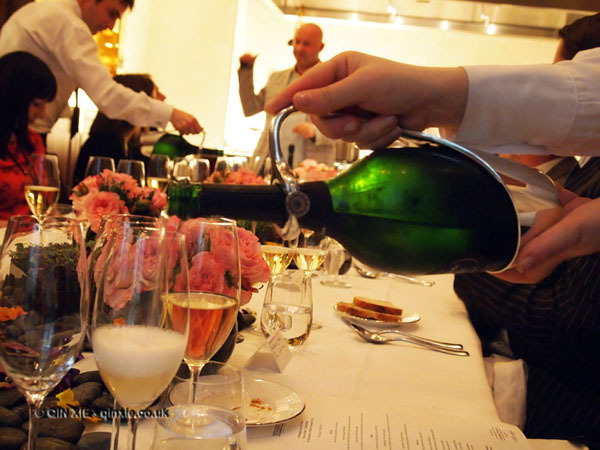 At the Laurent-Perrier Tous Les Sens Masterclass at Taste of London this year, it is all about the flowers. Not just to look at or to smell but also to eat. International florist Ercole Moroni leads the class and guides you through a specially created tasting menu of floral delights. As well as exploring the menu and learning about the different flowers on the plate and on the table, you also get to sample a small flight of Champagnes from Laurent-Perrier. 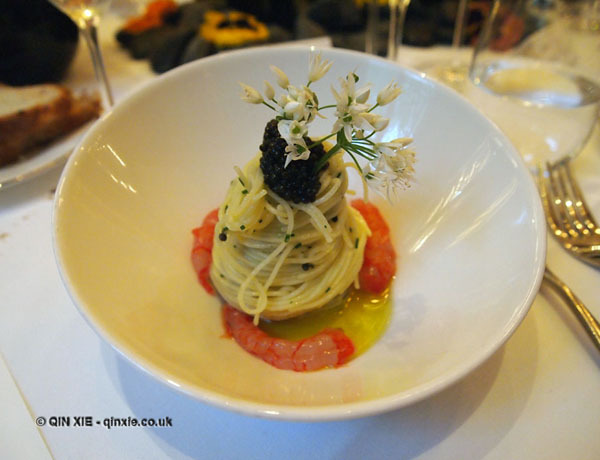 If the preview at Massimo, The Corinthia, is anything to go by, you will surely be in for a treat. We had dishes inspired by apple blossom, green shiso, wild garlic, courgette flower, jasmine blossom, and elderflower, just to name a few; and by inspired I mean it was on the plate. While we sipped the champagne and tried the food, Moroni talked about why each champagne was chosen to match the menu and how they relate to the flowers. By the end of the meal, even I was warming a little to the bouquet. The Tous Les Sens Masterclass menu at Taste of London is slightly different though and has been put together especially for the event by specialist caterers, Urban Caprice. Canapé portions of starter, main and dessert will be paired with Ultra Brut, Grand Siècle and Curvée Rosé respectively, from Champagne Laurent-Perrier. The starter will be Mottra Osetra caviar, apparently the world’s only truly sustainable caviar, on white toast. The caviar is sustainable and ethical because the sturgeons are massaged to release the roe rather than cut open while still alive. The main course is a Champagne infused risotto with asparagus. And finally the dessert is a white chocolate and strawberry sphere with strawberry mousse, macerated strawberries, rose jelly and crystalised rose petals.